For convenient and trustworthy auto repair, you can rely on auto service from Hendrick Honda Woodbridge. Open 6 days a week and located right off of the Jefferson Davis Highway in Woodbridge, VA, auto repair has never been more convenient. No matter if you need routine maintenance or a major auto repair, our team of experts will repair your car right—the first time. 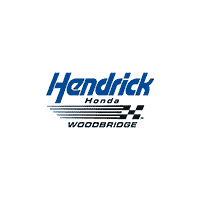 The work done by our team of AAA approved, Honda certified mechanics is guaranteed and backed by Hendrick Honda Woodbridge, so you can rest assured knowing your vehicle is repaired by us. Hendrick Honda Woodbridge removes the hassle associated with the regularly scheduled maintenance required to keep your Honda running like new. In the event that you need unexpected car repair, our factory-trained Honda certified mechanics are authorized to perform warranty work for both factory and extended warranties. We also perform Virginia State Safety Inspections to keep your car complying with state regulations. Choose the auto repair shop Woodbridge residents trust to keep their Honda running for years to come. Order parts, schedule your service appointment online or call Hendrick Honda Woodbridge at 877-604-6196 today.